Find Moncks Corner, SC Homes for sale. View Photos, Maps and MLS Data Now! Enjoy the sun-room overlooking the wooded back yard that is presently a full work out room. The beautiful kitchen adjoins the MLS#19011427. Carolina One Real Estate. Fairmont South - Get .5% toward closing costs with Christa Votaw at Mortgage300. Call 843.647.9686 MLS#19011394. Local Homes And Land, Inc..
Cypress Ridge - This amazing open area allows enough space for everyone to be together but not crowded. MLS#19011413. Agentowned Premiere Group. Spring Grove Plantation - Two of the three additional bedrooms have walk in closets and there are two hall closets for additional storage! MLS#19011395. Re/Max Pro Realty. 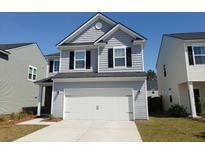 This 2 story home is a beauty and will not last long! MLS#19011364. Marshall Walker Real Estate. Enjoy all the perks this home has to offer. MLS#19011323. Trident Real Estate, Llc. Foxbank Plantation - Foxbank features playground, 2 beautiful community pools (one is still being built) and brand new Elementary School and Fire house. MLS#19011194. Brand Name Real Estate. Neighborhood does NOT have HOA fees. MLS#19011333. Carolina One Real Estate. The laundry is located upstairs as well. MLS#19011066. Re/Max Cornerstone Realty. Stoney Creek - Oh ya lets not forget about your Ginormous baseball park size backyard because this house is like eggs, its cheaper in the country!15 Minutes from Salt & Fresh water Boating,Fishing,Minutes from Joint Base Charleston & loads of Shopping. #StartLivingYourBestLifeNow MLS#19011177. Agentowned Premiere Group. Pimlico - It also has 2 public boating ramps, 2 docks and 2 fully stocked ponds with NO HOA! MLS#19010996. Coldwell Banker Residential Brokerage. Tons of upgraded options are already added in and included in the list price including but not limited to: Stainless Appliances with a Gas Range, Screened Porch, Gas Fireplace, Gas Tankless Hot Water Heater, Upgraded Cabinets, and Granite Countertops! MLS#19010890. Dan Ryan Builders South Carolina Llc. Tons of upgraded options are already added in and included in the list price including but not limited to: Stainless Steel Appliance package with a Gas Range, a Gas Tankless Hot Water Heater, Gas Fireplace, Deluxe Owner Bath with Upgraded Tile, and the list goes on! MLS#19010869. Dan Ryan Builders South Carolina Llc. Cypress Ridge - This community has plenty to do with a children's playground, pool, gym and club house. MLS#19010810. Agentowned Premiere Group. Spring Grove Plantation - Grand entry hall with crown molding, french doors leading into formal living room and upgraded laminate floors throughout the downstairs, More windows than most homes all rooms have an abundance of natural light.Beautiful stairway with Wood treads and wrought iron balusters.Gorgeous kitchen with granite tops, subway tile backsplash, upscale cabinetry with beautiful finish, glass doors, self closing hinges & upgraded, externally vented, gas range. MLS#19010802. Charleston Property Sales, Llc. Foxbank Plantation - There is even an option to add a fireplace to the porch making it the perfect retreat on chilly nights. MLS#19010781. Sabal Homes Llc. Spring Grove Plantation - Step outside to a gardeners delight & huge fenced yard with a wooded buffer for added privacy.Perfect for entertaining and having a cookout. MLS#19010798. Southern Shores Real Estate Group. Strawberry Station - The utility room, directly off the two-car garage, rounds out the first floor. MLS#19010753. Century 21 Properties Plus. Renovate the existing home, build your new home in the front of the lot and keep this as a workshop or use it as a rental for additional income. MLS#19010760. Brand Name Real Estate. This beautiful home offers the master suite on the first floor, a patio leading to the backyard, and a very large bonus room which can be optioned as a second owner suite! MLS#19010692. Eastwood Homes. Fairmont South - THREE LEVELS of living in the heart of Moncks Corner MLS#19010729. Carolina One Real Estate. List price is new construction base price home and lot premium prior to design and/or structural upgrades. MLS#19010685. Eastwood Homes. Foxbank Plantation - This open floor plan flows into the breakfast room, which can fit a full sized dining table and the kitchen is the home chef's dream... a large island overlooks the breakfast room and family room, an MLS#19010737. Realty One Group Coastal. Everywhere you look, there's extra room with the potential of being transformed MLS#19010640. Maven Realty. Pinopolis - Close to Lake Moultrie for water access. Schedule your showing today! MLS#19010482. Chucktown Homes, Llc.